Cookistry: Color Your Food - Adult food-themed coloring pages! Color Your Food - Adult food-themed coloring pages! 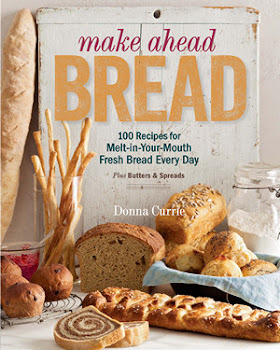 Why yes, that is a different-looking book cover! I took a couple weeks off for the holidays and got a much-needed rest. Okay, fine, I didn't take the time completely off. I read some books I'm going to review later, and I cooked some food. Then I spent an evening watching a movie and doing absolutely nothing else. I also indulged in that new and trendy hobby - coloring. It's relaxing. And fun. And it feels creative and artsy, even though I can't draw at all. Lines are very helpful for me. And then I started wondering why I hadn't seen any coloring books with a food theme. I've seen animals, plants, butterflies, mythical creatures, mandalas, buildings ... just about anything you can think of. I mean, if I searched hard enough, I might find a food-themed coloring book - but they're not among the popular themes at all. Food can be pretty and colorful and artsy. So I started turning some of my photos into line art that could be colored. Okay, maybe a plate of brownish muffins might not be as fun to color as something more colorful. Maybe that's the problem. Maybe roast beef might be too monochromatic. Maybe chocolate ice cream might be boring. But then I thought ... well ... you don't need to color them as they exist. I took my lovely brown naked muffins and added colored cupcake papers and then got creative with the tops as well. It might not be the most wonderful art ever created, but I had fun with it. As I started fiddling with the photos, I thought they might be a fun addition to my blog. I mean, why not offer coloring pages for anyone who wants to give it a try? I might not make line art for every single post I put up, because as I was fiddling with the line art, I found that some photos were more willing than others. This Choloca chocolate ice cream from a recent post worked out pretty well, and it was fun to get creative with the colors. Download the chocolate ice cream coloring page here. Download the muffin coloring page here. 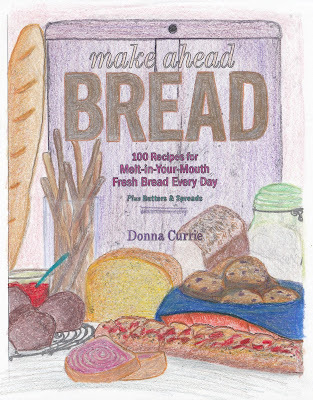 Download the Make Ahead Bread book cover coloring page here. Soon, there will be a new tab at the top of the page where you'll find all the posts that have coloring book pages included as I have more of them to share with you. Have fun!